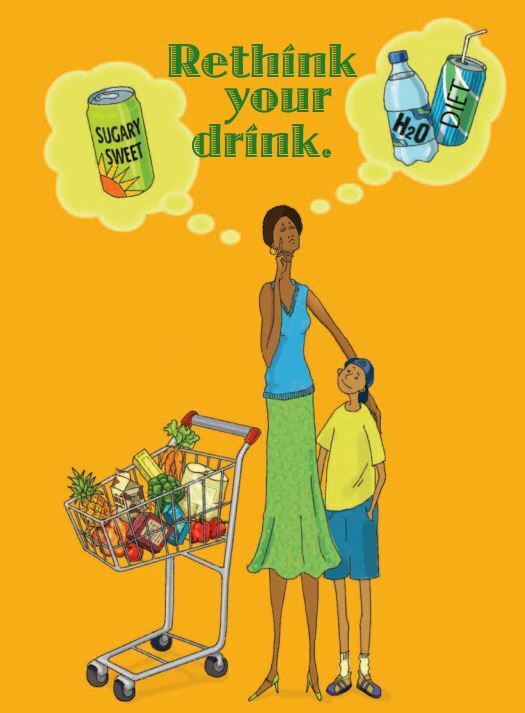 Between 1999-2008, total sugar-sweetened beverage consumption (more than 500 calories per day) increased among children. Between 1999 and 2010, sugar-sweetened beverage consumption among youth and adults in the United States declined. However, in 2009-2010, on average, American youth and adults consumed 155 and 151 kcal energy a day from sugar-sweetened beverages, which is equal to slightly more than one 12-fluid ounce can of cola. In 2010, although water, milk and 100 percent juice were the beverages consumed most commonly, 24.3 percent of high school students drank a serving or regular soda, 16.1 percent drank a serving of a sports drink, and 16.9 percent drank a serving of another sugar-sweetened beverage one or more times per day in a given week. The risk of obesity among children spikes by 60 percent with every additional serving of sugar-sweetened beverages consumed. It’s time to nix the sugar-loaded soda and opt for some healthier options! Wow really? I’ll stop drinking soda then from now on…!!! Wow! I did not know that! No i will stop drinking soda from now on then…! I gotta say this isn’t much of a difference for me because I already drink soda once or twice a year. I would not live at all without soda because sodas are my favorite to drink rather drink other drinks. Wow. I like soda, but I love soda. Aspertame can create cancerous cells. Good bye soda!!!! Soda is just another one of fat causing drinks I only drink a soda on a special occasion I could defiantly live without Soda . I love channel one news!!! It’s just the best!!! I would not be able to live without soda. It’s the only sugary drink I can drink!